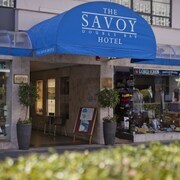 The staff were very friendly and helpful, the rooms were clean. 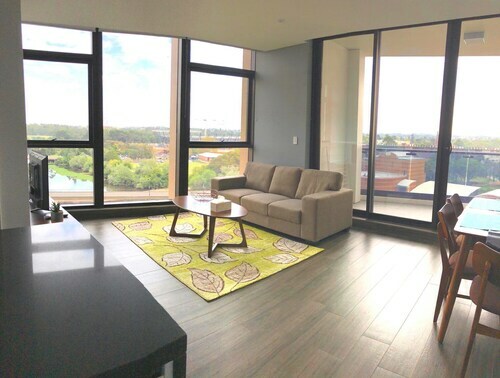 Situated in Northmead, this apartment building is within 3 mi (5 km) of Parramatta Stadium, Parramatta Park, and University of Western Sydney Parramatta Campus. Parramatta Heritage Centre and Riverside Theatres are also within 2 mi (3 km). 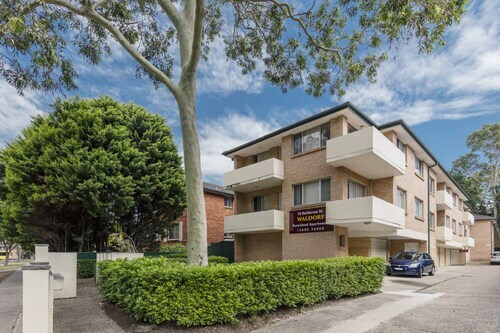 Situated in North Parramatta, this apartment building is within 1 mi (2 km) of Parramatta Stadium and Parramatta Park. University of Western Sydney Parramatta Campus and Rosehill Gardens Racecourse are also within 3 mi (5 km). Sydney Parramatta Station is 27 minutes by foot and Parramatta Station is 28 minutes. The young lady who handle the check in was fabulous. She was interrupted several times by another guest but she remained calm, professional and courteous. She was a pleasure and asset to your property! 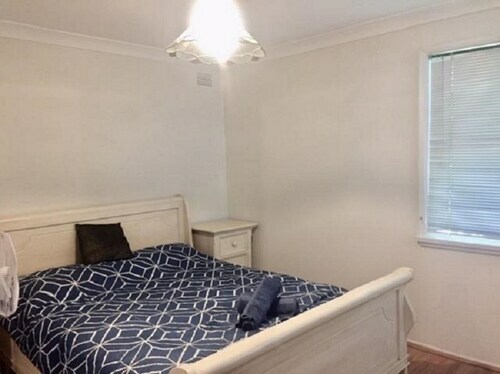 Great position in Parramatta, close to Riverside Theatre and eateries on Church Street. Undercover parking a bonus. The kitchen, laundry & 2 bathrooms plus ample wardrobe space are appreciated. Comfortable unit. 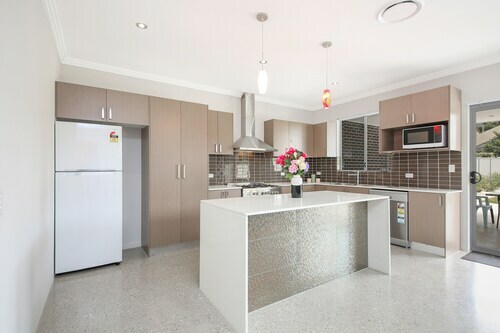 Situated in Parramatta, this apartment building is within a 15-minute walk of Westfield Parramatta Shopping Centre and Parramatta Park. University of Western Sydney Parramatta Campus and Rosehill Gardens Racecourse are also within 2 mi (3 km). Parramatta Station is 11 minutes by foot and Sydney Parramatta Station is 12 minutes. 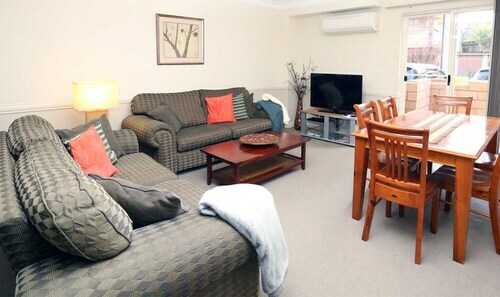 Situated in South Wentworthville, this vacation home is within 3 mi (5 km) of Parramatta Park, Old Government House, and Westfield Parramatta Shopping Centre. Riverside Theatres and Parramatta Stadium are also within 3 mi (5 km). 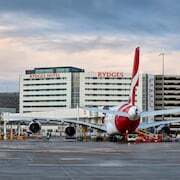 Sydney Wentworthville Station is 27 minutes by foot and Sydney Westmead Station is 28 minutes. Many people stop by Westmead Hospital each year. 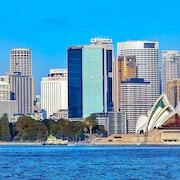 It sits among the busy streets of Sydney the state capital. This popular city is a sight in itself! 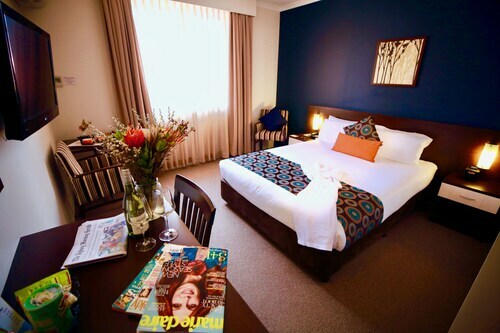 Like to stay close to Westmead Hospital? 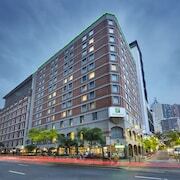 You'll be glad to find out there are 8 hotels within 3 kilometres. 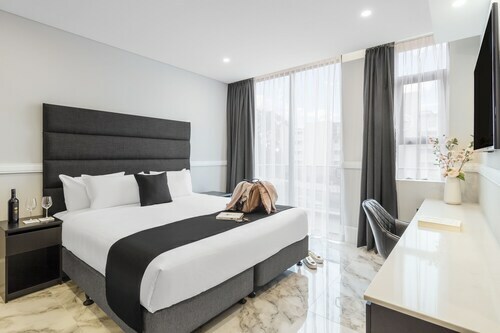 The Novotel Sydney Parramatta (2 kilometres), the PARKROYAL Parramatta (2 kilometres) and the Holiday Inn Parramatta (3 kilometres) are all suitable options. 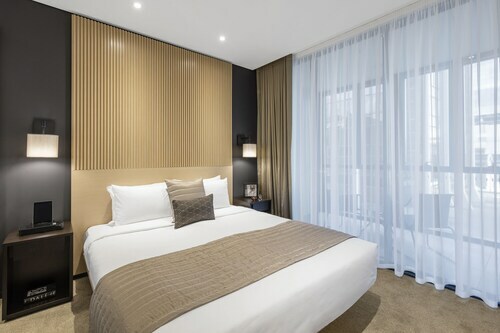 To get the most out of your money, stay at a cheaper hotel. 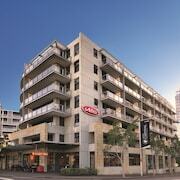 Check out the rates at the Western Sydney University Village- Parramatta Campus. 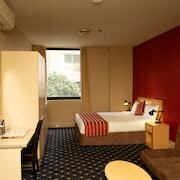 The ibis budget Sydney Olympic Park is also worthwhile. 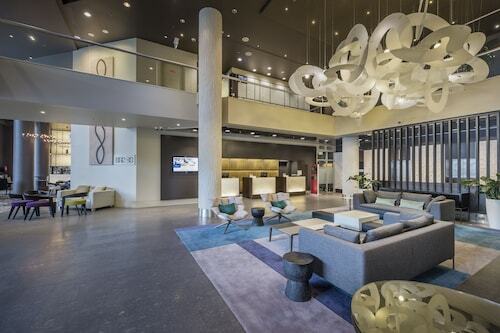 Happy to pay a bit more for outstanding amenities? There are a couple of options that should fit the bill. 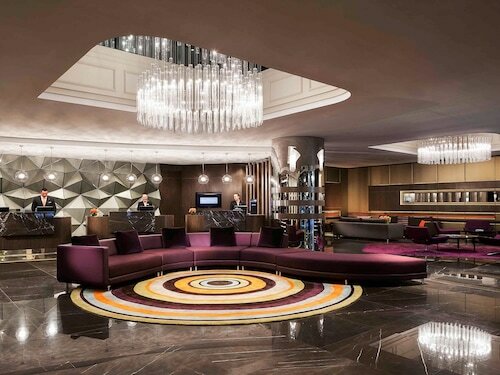 Check out the Pullman at Sydney Olympic Park and Novotel Sydney Olympic Park. Don't want to travel far for your morning coffee? Choose Starbucks. It's easy to get to from Westmead Hospital. When you're ready for a hearty meal, take a seat at Bangkok Snap - Northmead. Craving a beer? Westmead Tavern is your top option. To learn about the policies and governance here, add Old Government House to your list of things to do. Show the locals your style and skill with a round of golf at Randwick Golf Course. Parramatta Park is a great spot for taking a walk or just simply relaxing. When you're feeling a little quiet and thoughtful, wander through St Patrick's Cathedral. Treat you travel partner to an evening at Riverside Theatres. Find your seats and enjoy the show! Chill out, take a look at the surrounds and enjoy the train ride to Westmead Hospital. Make sure you disembark at Westmead Station, the nearest station. Then it's just 0.6 kilometres to go from there. 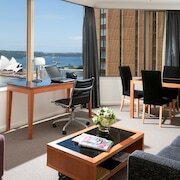 How Much is a Hotel Room in Westmead Hospital? 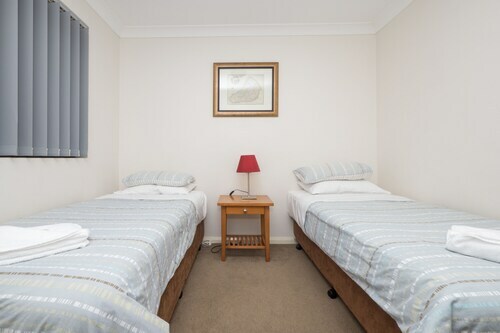 Hotels in Westmead Hospital start at AU$115 per night. Prices and availability subject to change. Additional terms may apply.